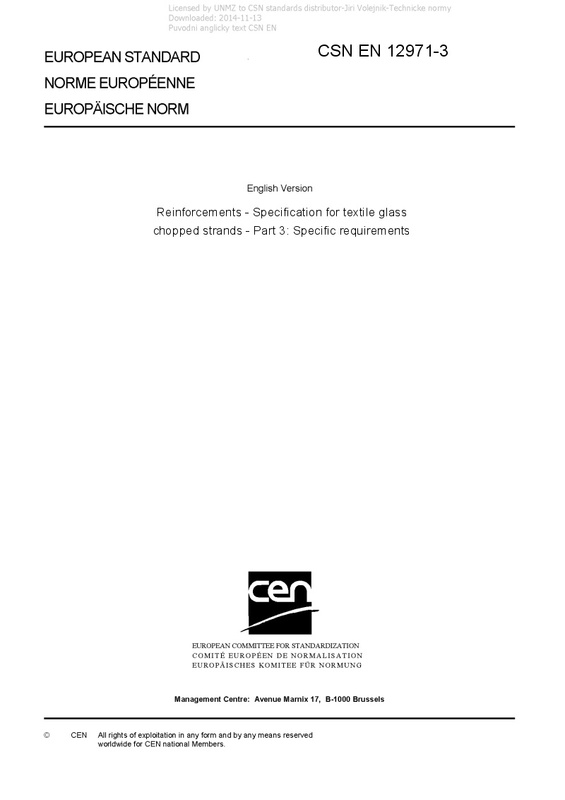 EN 12971-3 Reinforcements - Specification for textile glass chopped strands - Part 3: Specific requirements - 1.1 This part 3 of EN 12971 gives a specification for chopped strands made from continuous filament textile glass. The specification defines those parameters which shall be specified plus other parameters which may be specified if required for a particular application or processing method. 1.2 The specification does not define absolute or nominal values for any parameter.